Getting a pet is a lot of responsibility, but the rewards are huge. Whether you have children, live with a roommate or reside alone, having a pet can make your house a home. 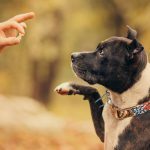 While dogs require walking, birds make a loud racket and not everyone likes reptiles, cats often fill all the needs of prospective pet owners with few of the challenges other animals may bring. Cats have distinct personalities, and no two are exactly alike. 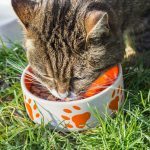 However, most cat owners agree that the benefits of living with a feline are significant, whether it’s a chatty Siamese or an imperious rescue tabby. Here are ten reasons to get a cat. Dogs have the reputation for being man’s best friend, but cats make for terrific companions as well. They may be less demonstrative in their affection, but sometimes it is more fun to have to work for their love. Cats often snuggle up to their owners, sleeping on their feet or behind their knees when they go to bed. They often can sense if you are not feeling well or are sad, and may stay by your side when you need a friend. Cats can provide lots of entertainment, especially when they are young and spry. Their agility allows them to attempt all sorts of gymnastics, and if you have a camera ready you may capture their antics for your own and others’ enjoyment. The myth about cats having nine lives is based on their tendency to get themselves into seemingly dangerous positions and then escape, landing on all paws and scampering away without injury. Their expressive faces are also fun to watch, as you wonder what they must think of the silly humans around them. Cats are very self-sufficient, provided you give them a litter box and fresh food and water every day. 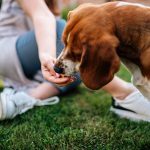 Unlike dogs, they are less likely to have difficulty being “potty- trained,” and they won’t even eat all of their food if you leave out a weekend’s worth in one sitting. If you have a job that will leave your pet home alone for long periods of time, a cat will be just fine with that. He will probably consider your apartment his castle, where you are simply his guest. Cats are also less expensive than dogs, who require grooming and being taken out to play. You probably won’t have to pay for walkers or daycare for a cat. Cats do get into trouble on occasion: they may claw up a pair of your shoes or even a piece of furniture if they are feeling naughty. But you can protect your belongings better from cats: their smaller size means they will be perfectly fine if you confine them to one room while you are out. Sure, cats can be aloof and temperamental- that’s part of their charm. But their fastidious cleanliness means their coats are soft and velvety. Because they are often vain and also sensuous in nature, they thoroughly enjoy being stroked for hours on end, especially under the chin or behind the ears. Scientists have found that there are documented reasons why humans like stroking cats so much. The interaction is soothing, reduces anxiety, and creates pleasure and trust for both creatures. If you are intrigued by cats, you are not alone. Human beings have been enamored of cats for centuries. Revered in ancient Egypt, they have been alternately exalted and hated throughout history. Admired for their ability to control pests like rats, they have also been associated in different cultures with the moon, witches and black magic. 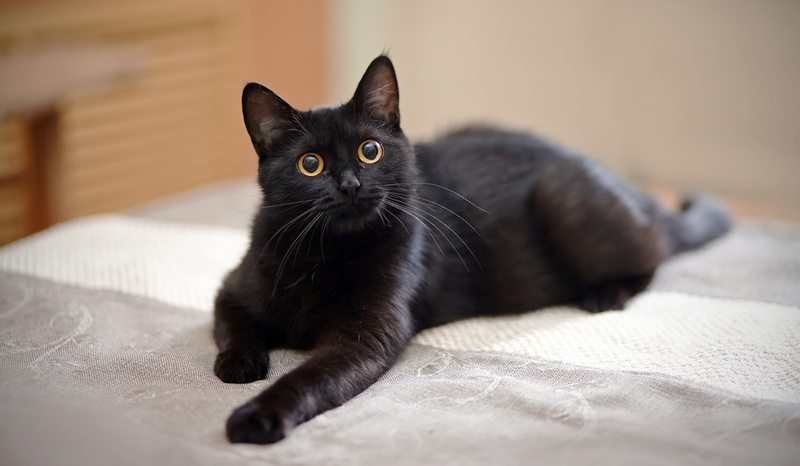 Sadly, these legends persist today- black cats are less likely to be adopted from shelters than their tortoiseshell cousins! Cats are intelligent. If you have ever watched a cat try to solve a problem, you will see how quickly his brain works to help him get what he wants. Research shows that while cats may have more functioning neurons in their brains than dogs, they are notoriously hard to study. That’s because, unlike dogs who are eager to please, cats really can’t be bothered with whether you are impressed by their smarts or not. If you want to be challenged by a pet who confidently feels she is your equal, get a cat. If you have seen those animal rescue videos online or on TV, you know that there is a crisis of homeless pets in our country. Too many people fail to spay their pets, resulting in lots of animals ending up in shelters or even being euthanized. The ASPCA estimates that approximately 3.2 million cats each year end up in shelters. One of the most important reasons to adopt a cat is to do your part to help alleviate this crisis. It is really a matter of life and death. You will get so much, from such a small act of kindness. 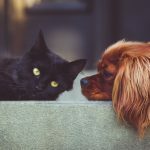 Whether you are a homebody who likes to curl up in front of the fire with a book or someone who entertains frequently, a cat is sure to fit into your lifestyle with ease. They may disappear when you have friends over, but they generally tend to be adaptable and unperturbed by company, travel, changes or moves. Cats can usually adapt well to other pets in the home, as well as children. 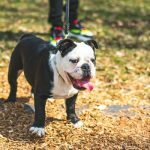 They may be jealous or grumpy at first, but chances are with time they will soon be snuggling up to the new puppy or infant who joins your happy family. If you are used to the sloppy kisses of a dog, you may not think that a cat will be as loving as a canine pet. On the contrary, cats are loyal and devoted, just in their own way. Their kisses are scratchy but just as affectionate. Do you still need reasons to get a cat, after you have heard about their unique personalities, their easy adaptability, and their cunning intelligence? Think about how you can open your home to one of these fascinating creatures who might really need it. With so many cats needing to be adopted, you can make a difference. By helping one of these lovely pets you re sure to gain a lasting friendship as well. For more on the joys of owning a cat, check out our blog.